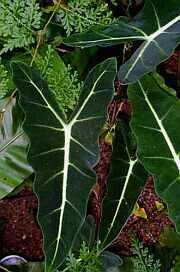 Many places sell the "Green Velvet" as A. micholitziana. This page shows another form of this highly variable species. Here it is, growing in the UC Berkeley Botanical Garden greenhouse. 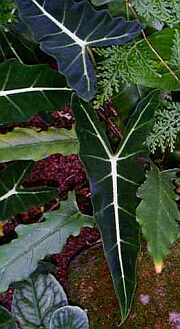 A closer look at the leaf, very streamlined, angular and darker green than "Green Velvet".